The exchange rates are usually set at a fixed rate, but private money changers often have a slightly better rate. 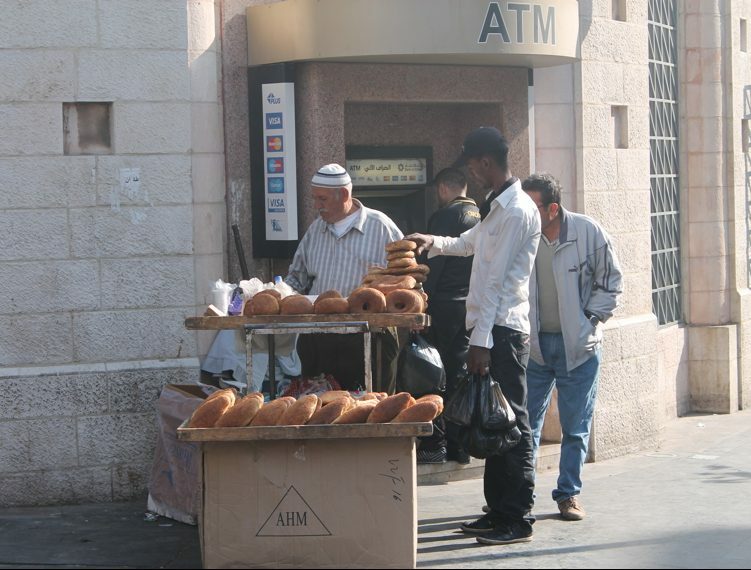 The private money changers tend to have longer hours, and transactions are usually faster than in Jordanian banks. Bank working hours are generally Sunday to Thursday 8:30 am to 3:00 pm. Branches in hotels and shopping malls (especially in City Mall) may have longer hours. 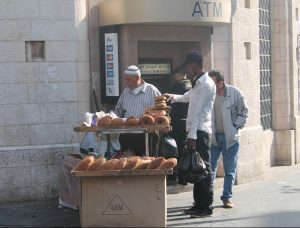 There are two bank branches on the campus very close to the Language Center, and ATMs are available inside and near the campus. We suggest that you travel with several sources of money (ATM/debit card, credit card, and cash). This will ensure that if one of your means for accessing money fails, you will not be stranded without money. ATM/debit cards can be used to obtain cash if they have a major credit card logo (Visa, MasterCard, Cirrus Network, or Plus Network) on them, but they should not be relied upon exclusively, since they are subject to breakdowns, fraud, and other scams. If you do plan to use debit or ATM cards while overseas, be sure to check with your local bank regarding applicable fees. These can be quite steep, but this is the most convenient way to access your funds. If you bring cash with you, please examine your bills carefully before departure to make sure they are in good condition. CIRRUS, PLUS, Visa and MasterCard are accepted in Jordan, and you will see signs for them at ATMs in all major Jordanian cities. Check with your bank to make sure your card is activated for overseas use and that your PIN will work overseas. By using ATMs you can get trade exchange rates, some of which may be better than those charged by banks for changing cash. Note that there is a daily limit on ATM cash withdrawals (sometimes as low as 300JD, depending on the ATM). It is recommended that you consult with your bank about the rules or charges for Jordanian branches, and carry the phone number of your bank in case you lose your ATM card. There are a couple of ATMs in the passport control area and the arrivals hall at Queen Alia International Airport, as well as a currency exchange. However, do make sure you have some cash to buy your Jordanian visa if you did not purchase it in advance. It is recommended that you consult with your bank about the rules or charges for Jordanian branches, and carry the phone number of your bank in case you lose your ATM card. Credit cards are accepted at major hotels, expensive restaurants, most shops in West Amman, and airline offices. Where credit cards are used, the best known are Visa, MasterCard, and American Express. However, the vast majority of monetary transactions are carried out in cash. Before you depart for Amman, you should discuss with your family a plan for getting more money during the program. The best way to be sent money is to have a family member deposit cash into your bank account which you can then access via an ATM. Western Union is also available, though they do charge a fee for wiring funds.